Lock in a great price for The Peaks Resort and Spa – rated 8.4 by recent guests! The bed was way to soft, it would be better a little stiffer ..
Love this hotel, we've tried a couple other hotels on the mountain but this one is by far our favorite. We now stay here every time we go to Telluride. the ski valet staff, made the daily process of getting to the slopes, a very easy step. Wonderful and very friendly people. Really a pleasure . Breakfast was the best with spectacular view! We loved the fireplace in lobby. The spa was over the top! Bed was comfortable and room seemed generally clean. 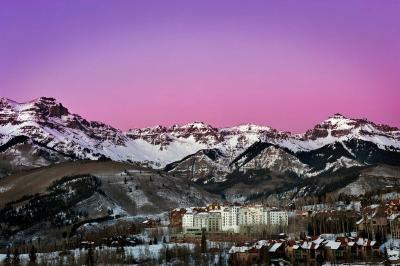 Views on the terrace are beautiful but that being said, every view in Telluride is beautiful. Complimentary water. 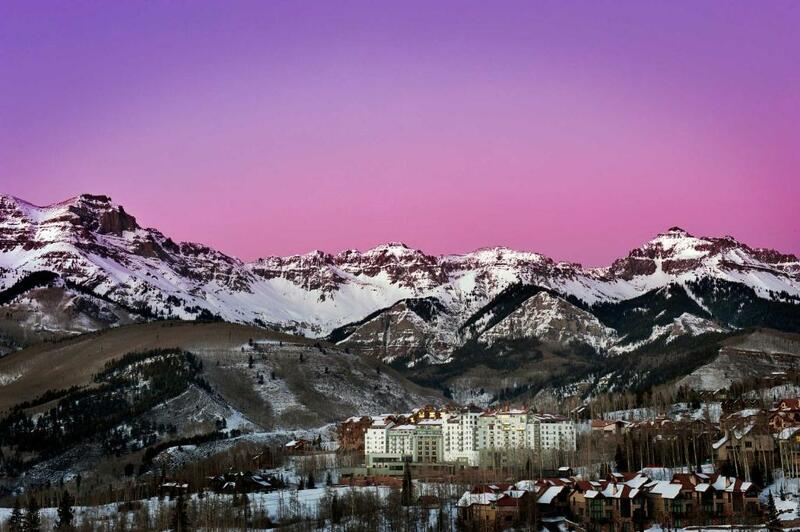 We believe it’s the best location in Telluride! The views from the rooms are incredible!! Beautiful resort with fabulous amenities. Great comfort, friendly and accommodating staff. Gondolas into town are fabulous! Wonderful all the way around ! The bathroom was luxurious, and the tub was relaxing & huge! The Peaks Resort and Spa This rating is a reflection of how the property compares to the industry standard when it comes to price, facilities and services available. It's based on a self-evaluation by the property. Use this rating to help choose your stay! 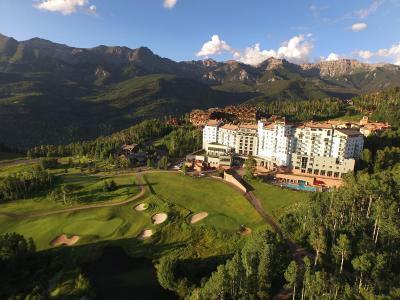 One of our top picks in Telluride.Located in Telluride, Colorado, this ski-in/ski-out resort is surrounded by the Rocky Mountains and offers summer and winter activities. It features a helicopter for heli-skiing and an indoor/outdoor connecting pool. 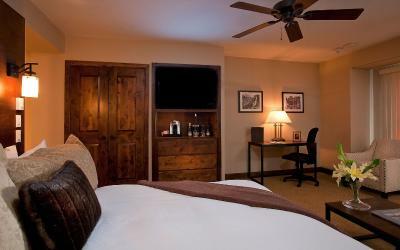 The accommodations at The Peaks are equipped with cable TV and free WiFi. They are furnished with large picture windows and glass-enclosed showers. An in-room safe and is also provided. A variety of dining choices are available at this Telluride resort including Altezza Restaurant, serving cuisine made with local and organic ingredients. The Great Room & Deck offers a lounge atmosphere with live music and Bean Cafe is an on-site espresso coffee and pastry shop. Guests can enjoy a drink or an appetizer poolside at the Deep End Pool Bar during the summer months. A full-service spa and a fitness and wellness center, complete with classes and services, are featured at The Peaks Resort and Spa. Concierge services and valet parking are available. 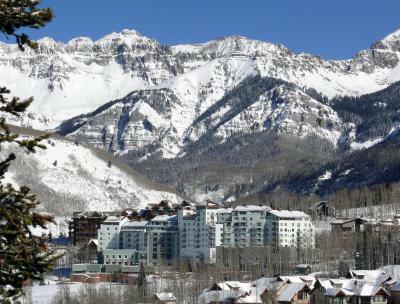 Telluride Regional Airport is 6.8 mi from The Peaks Resort and Spa. 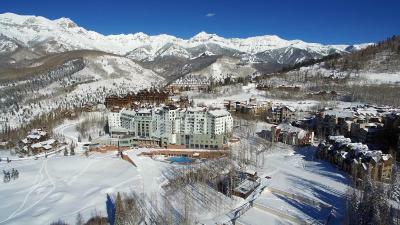 Downtown Telluride is a 20-minute drive from the property. 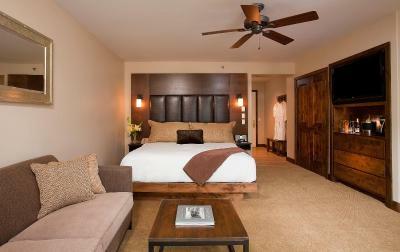 When would you like to stay at The Peaks Resort and Spa? This room features views of Mountain Village, a flat-screen cable TV and a private bathroom. Private parking is available on site (reservation is needed) and costs USD 24 per day. This room features views of the Rocky Mountains, a flat-screen cable TV and a private bathroom. 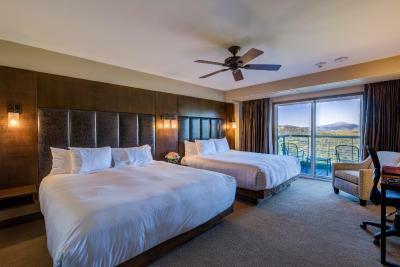 These spacious suites feature a balcony, sofa bed, and views of Mountain Village. These spacious suites feature a balcony, sofa bed, and views of the Rocky Mountains. This spacious room has a sofa bed, a cable TV and a private bathroom with a hairdryer. This spacious rooms features views of the Rocky Mountains, a cable TV and a private bathroom with a hairdryer. House Rules The Peaks Resort and Spa takes special requests – add in the next step! The Peaks Resort and Spa accepts these cards and reserves the right to temporarily hold an amount prior to arrival. Pet fees and restrictions apply. Please contact hotel for details prior to arrival. Motorcycle and RV parking is available and fees are applicable. Please contact resort for details. A second restaurant would help. Sometimes Altezza restaurant was fuly booked. Later hours for bar, dessert or snacks would be great. 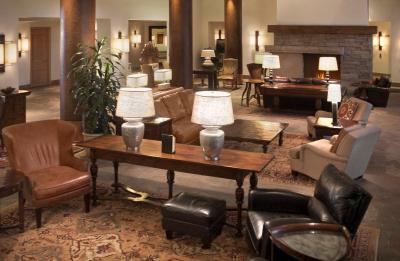 A coffee or hot tea bar would be perfect for the lobby. 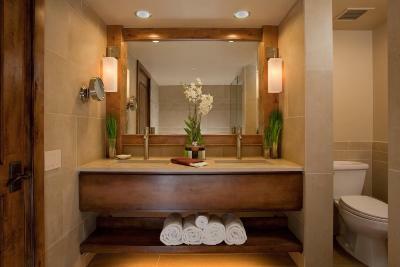 The spa offers everything a spa could offer, the room is large and beds are very comfortable. We had a beautiful view. The staff is amazing. The pool with the super slide is so much fun! We enjoyed the hot tubs. It was snowing and we enjoyed the outside hot tub with the snow coming down. We had out 5 year old twin grandchildren and they loved the hotel! The perfect vacation spot for family and the romantic get away. We will go back without the grandkids. There is a mandatory resort fee. There is also a mandatory valet parking fee which is ridiculous because they parked my truck 3 parking spots from the main entrance. Also, the kids who run the valley have no idea what they are doing in regards to transportation in the area, we were told we could drive up to Allred's restaurant which by the way IS AT THE TOP OF THE SKI HILL...do not attempt to drive up there. The staff....they scream at eachother down the hallway in foreign languages with complete and utter disregard for the guests. The rooms are outdated with paint chips on all the doors and hallway trim, coffee stains on the walls and carpet in our room. The pool is not a heated pool...they claim it to be 82 degrees but in reality everyone is in the water shivering. I have no idea how they got a 4.2 from my stay, it was a 2 at best! The bed had a huge hole in the mattress so we did not sleep well. There was a sewage smell as you walked to the elevators on the third floor. We asked for towels and had to call again after 30 min. TV is terrible. DVD selection was really bad especially considering there are no movie channels available. It was very disappointing for the price and we will not return. We had two rooms for two days. Valet and staff in buffet were great! Didn’t like hearing music next door at 12 midnight. Had to call front desk to complain.